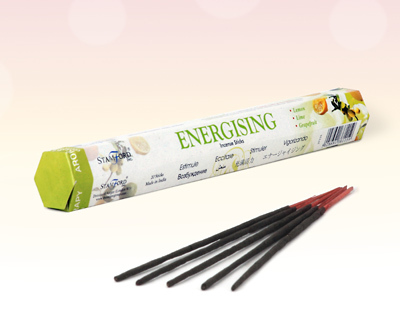 Recharge and revive your senses with this energising incense stick which contains lemon, lime and grapefruit - a very pleasing aroma that puts you back on track after a trying day. Brilliant product and service! Really impressed. Brilliant service and prompt delivery. I have been buying essential oils and carrier oils from Quinessence for some time now. I am very happy with the quality of the oils and the delivery service. I use the oils for skin care products and general well being. I even buy essential oils for my parents. I have recommended Quinessence to friends and colleagues. There should be more companies like Quinessence. Thank you! Excellent information about products. Very easy to order and good prices. The order arrived well packaged and in good time. Would recommend. Copyright © Quinessence Aromatherapy Ltd 1997-2019. All rights reserved.